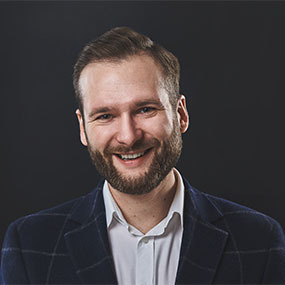 Piotr Zajac has a passion for people and technology. So it’s no surprise that he co-founded a company that brings together a team of savvy professionals to partner with life-changing companies to develop, design and optimize their products with the latest technology. We had the opportunity to interview Zajac to learn more about his company and find out his thoughts on how IoT will evolve in the future. Why did you start Untitled Kingdom? And what’s behind the name? The name hides a little of our history, and a bit of our working approach. Untitled Kingdom was established ten years ago when Apple announced their SDK for iPhone OS 2. Our first mission was to build a software solution for one of the biggest Polish publishing houses that noticed a decrease in readership. After the first project, the company started cooperating with UK-based startups, which soon became the majority (90%!) of our clients. At this point, I really wanted to choose a name that would refer to people we worked with. Now, why “Untitled”? If you think about it, “Untitled” is a default name that a system gives to every new file that you create. That’s how we approach every project: It’s a new challenge with a true potential to become something meaningful and change-making. Our team shows a true engagement in projects that we develop, as we feel we’re the important part of their story. We’re Bizzby. We’re Elvie. We’re VergeSense, Helpling or MysteryVibe. We call our clients “partners,” and since day one, we form a concise team together. Our experts code, design, optimize, come up with their own ideas. We care and advise, instead of simply deliver. You work with a unique range of startups pioneering a new generation of connected devices including Elvie, the No.1 Kegel trainer worldwide, and VergeSense– an AI-powered building management solution, that launched at Y Combinator 2017. How do you see IoT evolving in the future? The most fascinating part of developing the aforementioned projects is the feeling of changing the part of today’s reality. These are the examples of improving the field of healthcare (Elvie) or building management (VergeSense) thanks to tech. If we consider HomeKit, Z-Wave or wearables, it’s obvious that IoT can bring change to almost every aspect of our life. Internet of Things enables to combine the reality with the world of digital – and this synergy gives us almost unlimited opportunities. If we go even further and additionally use the potential of other game-changing technologies, such as AI, VR or AR, then the sky’s the limit for what we can do. Internet of Things, as well as new technologies in general, will most likely be the bread and butter for next generations, whose daily activities will be mostly automated and way simpler than today. Obviously, to get to this point, we need to keep a watchful eye on security issues, connectivity or stability. We’re on the beginning of the path, that can bring revolutionary changes, and the greatest thing for me is the feeling that – as a team- we’re actively participating in building this path. It’s clear you have a passion for new technologies. What drives your motivation? My motivation is mostly effect-driven: What gives me a kick when I see measurable effects of our work. It always comes together with the feeling of creating something truly meaningful, with a potential to bring a viable change to the world. In the world of tech, accepting status quo actually means moving backward. The technology moves forward faster than ever, throwing new solutions right under our feet – we just have to keep our minds open to notice they are available. Startup owners are usually focused on raising their funding, presenting their ideas to investors, growing their team, organizing the rush in their weekly plan. By default, they’ve got no time to keep up with tech innovations and novelties, which can truly improve their business potential and give them an advantage over their competitors. What are some successful case studies you like to brag about? Every project’s story is different and obviously worth sharing, but I can’t mention each of them in this place. For instance, last year, Untitled Kingdom’s team partnered with PEC Gliwice Heating Plant, as the company wanted to improve the workflow of heat meter installers. The Untitled Kingdom team built a simple yet innovative iPad-based solution that’s understandable and convenient for the installers, improves their communication and efficiency. Today, thanks to the app that we’ve built, PEC saves the equivalent of one full-time employee’s work in the team of 16 installers and completely abolished paper documentation, saving thousands on printouts and employee-time costs. The solution brings measurable effects for the company and the installers: They no longer need to waste energy on rewriting papers, and feel more satisfied with their work in general. Another example is the story of Elvie Kegel Trainer. Before the app was successfully launched, Untitled Kingdom’s team saved Elvie six weeks through UI tests that eliminated some bugs, and improved app’s security, connectivity and stability. But the biggest benefit that comes with developing Elvie is bringing tangible impact on the lives of thousands of women worldwide. The success of Elvie puts light on the importance of Kegel training, which helps to prevent certain ailments and post-pregnancy bladder issues. It would take hours to talk about each case study that comes to my mind now, but you can find some of the most interesting examples on our website. Untitled Kingdom was recently chosen as a Hardware Club partner. Why is that partnership so important to you and your company? Before we were selected to become an official partner of Hardware Club, we cooperated with some of Hardware Club’s startups. These companies appreciated our expertise, and warmly recommended us to Club’s community (special thanks to Soumyadip Rakshit, CEO of MysteryVibe). Untitled Kingdom got noted for our product engineering expertise, background on hardware, service design approach and extremely high quality of software. We’ve always perceived our work through the prism of the entire final product — with its software and hardware parts perfectly combined. That’s why we don’t only build software. We create entire products from their concept to market-ready, validated life-changers, taking care of product strategy, iterative data-driven development, to launching and optimizing it for growth. Being chosen as a software partner of the selective squad of Hardware Club members shows us the importance and uniqueness of our approach. We’re proud of this partnership, as it gives us the opportunity to support the selective group of Hardware Club startups and observe the growth of their revolutionary products. Visit Untitled Kingdom at IoT World in Booth #1354. News Briefs: With the sale, Nokia will focus on developing IoT applications for energy, logistics, transportation and utilities; plus, Superion launches IoT, AI tech lab, Honeywell's new connected wearable and more news. By combining Teradata’s analytics platform with Cisco’s Kinetic for Cities IoT platform, cities can become more connected when it comes to integrated data exchange; plus, more news. As the New York Power Authority scales to accommodate more state buildings, the next iteration of its Energy Manager program will bring in more IoT analytics and AI.